But first, in the interest of complete transparency, this is NOT a sponsored post. However, some links provided are affiliate links and will benefit me and this blog if you choose to make a purchase through one or all of them. Blueberry Trainers seem the most like real underwear, and that appeals to me. I want N to realize we are making a change from diapers, and not just wearing a different kind of diaper. These trainers are supposed to be good for containing small accidents, but are far from being as absorbent as a diaper. They are partially waterproof, and so not recommended for overnight or naps. In the last year or so, there has been the addition of 2-in-1 trainers. It's an economical option that I'd love to check out, though I'm not exactly sure how well it would work for us. Flip Trainers give the option of reusing the shell while replacing the absorbent insert after an accident, or even incorporating their disposable inserts. 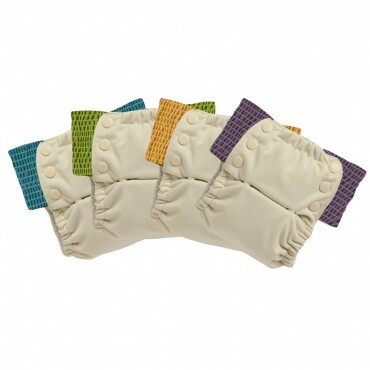 They are one-size, accommodating children up to about 50lbs based on rise snaps and adjusting side panels. Grovia My Choice Trainers also incorporate flexible side panels and rise snaps but leave out the replaceable inserts. They do, however, include a hemp/cotton blend absorbent layer and a pocket great for adding absorbency for naps or heavy wetters. 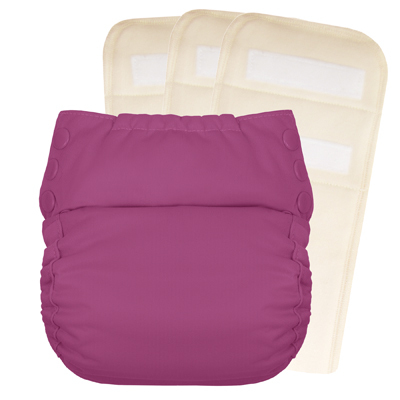 The included side panels allow for children as small as 1T-3T, while the optional Plus panels go up to a 5T. A truly "bullet-proof" system, and one that I have some experience with is Super Undies. We used the Overnight style (now called their Bedwetting Pants) with my son shortly before we transitioned out of needing anything at night. They run a little large (so keep that in mind if you decide to order some! ), but I like the pull-on style and the fact that they're waterproof. The Bedwetting Pants are definitely great for older kids who don't want to feel like they're still wearing a diaper at night. 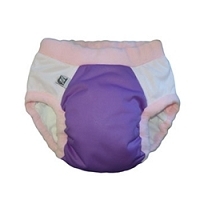 It is a little bulky, though, if you have a child not used to wearing cloth diapers. I haven't tried the Pull On Trainer, but I think it would have to be at least as effective. They also offer a version with snaps in the back if that's something you're interested in (makes for easier clean-up of those bigger messes). In the end, I'm not sure if I'll get a variety of these to try out, or if I'll pick one style and stick with it. 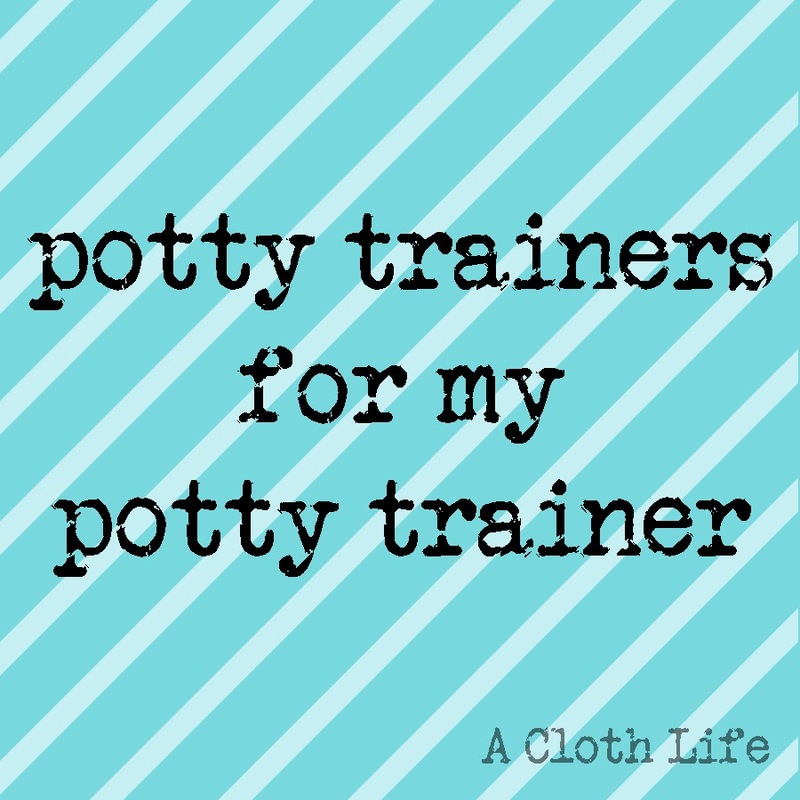 What I do know is potty training feels like it lasts about 1,000 times longer than it actually does. Have you gotten to this point with any of your kids? What has worked for you? What do you hope to try? We haven't even officially started yet, and I'm already exhausted.